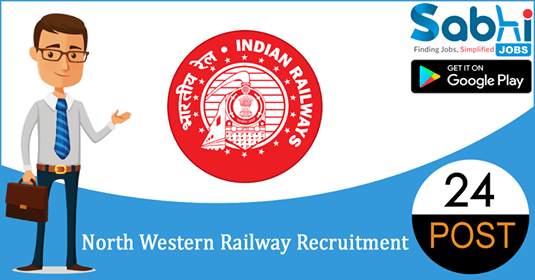 North Western Railway recruitment 2018-19 notification has been released on official website www.nwr.indianrailways.gov.in for the recruitment of 24 vacancies at North Western Railway. The candidate who is looking for Senior Technical Associate, Junior Technical Associate can apply online application from 27th August 2018 and before 26th September 2018. Qualification Technical Associate: Four years Bachelor Degree in Civil Engineering OR A combination of any sub-stream of Basic streams of Civil Engineering. Junior Technical Associate: Three years Diploma in Civil Engineering or B.Sc in Civil Engineering of three years duration OR A combination of any sub-stream of basic streams of Civil Engineering. Selection Process Selection will be based on Screening Test and Professional Personality Test.